Review by AllTheBestFights.com: 2018-12-01, disappointing fight between Luis Ortiz and Travis Kauffman: it gets two stars. The former interim Wba champion Luis Ortiz entered this fight with a professional boxing record of 29-1-0 (25 KOs=86%) and he is ranked as the No.7 heavyweight in the world (currently the #1 in this division is Anthony Joshua). He has fought twice in 2018 losing to Deontay Wilder in March (Deontay Wilder vs Luis Ortiz) and beating Razvan Cojanu in July (Luis Ortiz vs Razvan Cojanu). His opponent, Travis Kauffman, has an official record of 32-2-0 (23 knockouts) and he entered as the No.60 in the same weight class. He was defeated by Amir Mansour last year (Travis Kauffman vs Amir Mansour) but he came back to win in 2018 against Scott Alexander. 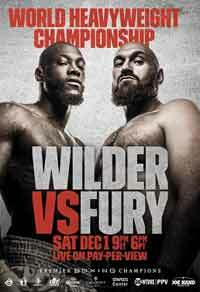 Ortiz vs Kauffman is on the undercard of Deontay Wilder vs Tyson Fury. Watch the video and rate this fight!